As we have talked about in a previous post, respite care is a service where you, the primary caregiver, can take time off to recuperate, relax, or to complete tasks that you have been meaning to do. Here at Best In-Home Care, LLC we offer respite care to the people of the Lubbock area because it allows hardworking caregivers like yourself the ability to take a couple hours to focus on yourself while not having to worry or feel guilty. 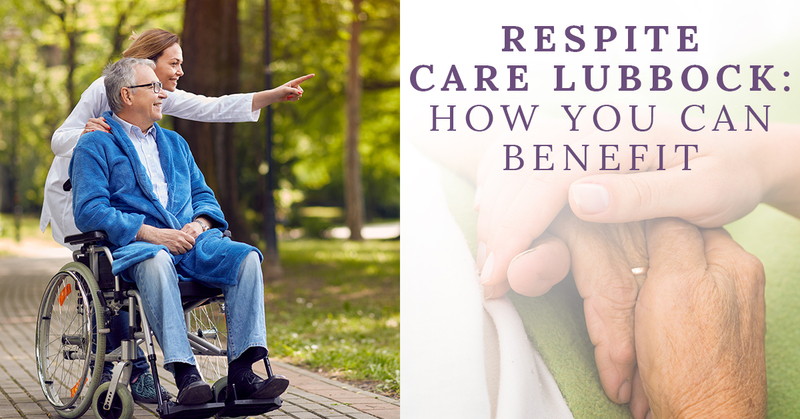 Being that we offer respite services to the Lubbock area, we see it fit to elaborate on some of the benefits that you may experience as a caregiver when you give us a call at Best In-Home Care, LLC. R – The primary benefit or respite care is that you, as a caregiver to your loved one can RELAX. Providing care to someone (whatever the reason) can be both emotionally and physically tasking, especially with minimal breaks and time off that you have. Over time you become worn out and the simplest of tasks seem hard once again. By calling us here at Best In-Home Care, LLC and asking about our respite care services, you will be able to take a break, long or short, and get the rest that you need. E- After you have enlisted our respite services and relaxed, you will now have ENERGY. Energy is an important thing for you to have as the primary caregiver of your loved one because if you do not have enough energy, you are putting both you and your loved one at risk of being hurt. S – Having SPACE from your loved one can be a good thing. Often times people will become frustrated with the person that they are a caregiver to as a result of the stain of taking care of them. The last thing that you want is to start resenting your loved one — so take a step back and relax! P – What is something that you don’t get much as a caregiver? PLEASURE. Take some time off and go have a spa day, play a round of golf, or do whatever else makes you happiest. Just know that while you are gone our elder care services professionals are taking excellent care of your loved one. I – Being a caregiver can be so stressful that you often times don’t have time to do the things that make you… you. So go out and regain your IDENTITY. T – In summation of all of the above benefits, respite care gives you TIME away to do with whatever you would like. E – Lastly, when you have time off, you can ENJOY time with friends that you cant see as often as you’d like as a result of being a caregiver. Contact us today to inquire about our respite services, because we both know that you deserve some time to yourself. If you have any questions about our services feel free to ask one of our experienced home care professionals or to take a look at the frequently asked questions page on our full website. We look forward to hearing from you.